Design and implement the automation test framework using, C# or object oriented programming language. Participate in manual testing cycle for the feature. Convert manual test cases to automation suites. Work in an agile development environment, collaborating with the team to deliver quality software iteratively. Essential Skills: C#, SQL server programming and .NET programming. 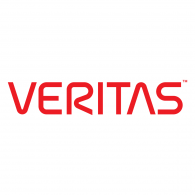 0 on: "Freshers Hiring For Associate Software Engineer at "Veritas" in Pune"